What’s new in the resource library? Here’s 1 newbie (on IEPs) and a reminder about 2 recent newborns. Guidelines for working with interpreters. Access to and examination of records | Training module. Last week we “buzzed” you about the final training module published in NICHCY’s Building the Legacy for Our Youngest Children with Disabilities–Module 12. The module looks at parents’ right to the confidentiality of personally identifiable information in their child’s early intervention records, as well as their right to inspect and review those records. The module includes a slideshow presentation, trainer’s guide, and handouts for participants. Happy training! Did you miss the webinar on Self-Advocacy Skill Building? No problem! The archive of last week’s webinar on helping youth with disabilities become effective self-advocates is now posted at the Hub, so you can catch all the details (especially Josie Badger’s presentation! ), view the slideshow, and download the handout. Parent Center staff and the families you serve have to be quite knowledgeable about IEPs—-what IDEA requires IEPs to include, what type of questions to ask in IEP meetings, how a student’s disability may affect the type of information that’s put into his or her IEP. Use the resources below to refresh your memory, train new staff, and connect families with information relevant to their situation. The short and sweet IEP overview. This quick summary comes from NICHCY, introduces IEP basics, and connects readers to the increasingly more detailed information that’s available in the All About the IEP suite. Available in Spanish as well. 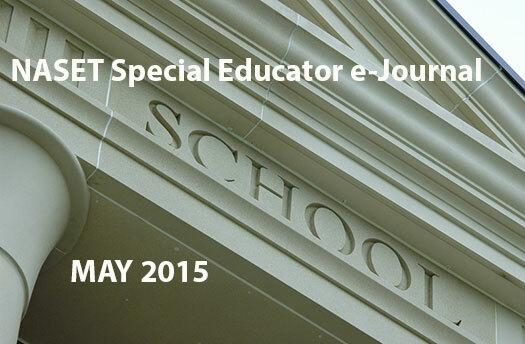 Don’t forget about the “special factors” to be considered by the IEP team. IDEA lists five special factors that IEP teams need to consider and how any of these can affect student learning and, thus, what’s included in the IEP. Those special factors are: behavior, limited English proficiency, blindness or visual impairment, the communication needs of students who are deaf or hard of hearing, and assistive technology. Placement in the regular classroom | Providing necessary supports. A student’s placement may be decided during the IEP meeting. IDEA clearly states that students with disabilities are supposed to be educated in regular education classrooms alongside their peers without disabilities to the maximum extent appropriate. So how is placement decided? What resources are available to support students with disabilities in the regular classroom? Make sure the student’s workbooks and materials are accessible. The AEM Center focuses on the importance of accessible educational materials (AEM) for students with print disabilities. Check out the Center’s resources on the subject and share these with the families you serve. New brief | This brief explores components of the IEP where it might be appropriate to refer to a student’s need for and use of AEM. Webinars | AEM has lots of great videos, all archived at the Center and thoroughly exploring the subject of AEM in the IEP. This section of the newsletter identifies useful IEP resources that you might share with families or mention in your own news bulletins. Developing your child’s IEP: A parent guide in English and Spanish. This detailed guide for parents covers what’s required in an IEP, who develops the document, what to expect at an IEP meeting, tips for parents, and what to do if you don’t agree with some aspect of the draft IEP. From NICHCY and vetted by OSEP. Also available in Spanish. IEP meeting checklist for parents. From SPAN of New Jersey, this checklist provides an outline of how to prepare for and what to expect at the IEP meeting. Students on the IEP team. Students themselves have vital information to share at IEP meetings. The IEP is about them, after all, about their education and their life. Students have the right to attend the meeting where their IEP is developed and must be invited when they’re 16. So get those students involved! This month, we are again focusing on effective educational practices for improving student outcomes. These resources may also be relevant in your state’s work on the SSIP in 2015, so keep them in mind for the future. The 5 stages of implementation. The National Implementation Research Network (NIRN) reviewed more than 2,000 articles on the implementation of programs and identified five main stages of successful implementation. Here’s a quick read. This 5-minute presentation provides a quick overview of implementation science and the NIRN’s Active Implementation Frameworks. How to use implementation science to improve outcomes for children. This article outlines how the science of implementation and the use of evidence-based Active Implementation Frameworks can close the research-to-practice gap in early childhood and ensure sustainable program success. The deep well of info at the Active Implementation Hub. Harlem Hebrew is a dual-language public charter school of excellence located in NYC CSD 3. We seek dynamic, dedicated, experienced and professional educators who would relish the opportunity to work with exceptional colleagues, a diverse student body and an innovative program for the 2015-16 school year. Candidates do NOT need to speak Hebrew. All teachers MUST be NYS certified. We offer a competitive compensation package and we are an EOE. The primary responsibility of the RSP teacher is to provide instruction and other related services to Special Education students. The RSP Teacher will also facilitate diagnostic assessment including administration, scoring and interpretation. RSP teachers will review and revise IEP’s as needed. The Resource Specialist will support instruction in reading, math, and written language for students, tutor individual and small groups of students, administer and score academic testing, write individualized education plans and support other academic programs as needed. The Resource Specialist will work under the leadership of the Program Specialist and the Director of Special Education. Today is the Day We Make It Happen. Join Our Team! Opportunities with Lighthouse Academies: We are looking for outstanding Special Education teachers for elementary, middle, and high school positions for the 2015-2016 school year. Lighthouse Academies provides opportunities for children to discover, achieve, and prepare for success in college, incorporating an arts-infused philosophy. We develop children’s critical decision-making skills to prepare them for success in life. We work relentlessly to achieve these outcomes through a self-sustaining model to transform children’s futures. We need people who are fearless, driven, and forward-thinking. We need people who share our passion for creativity and innovation. If you share our vision, join us. To view the open positions and to submit an application, visithttp://www.lhacs.org/join/apply. In accordance with the Criminal Background Checks for the Protection of Children Act of 2004, this position has been designated and identified as one which requires a criminal background check and/or traffic record check. If you are tentatively selected for the position, a criminal background check will be conducted. A final offer of employment is contingent upon the receipt of a satisfactory criminal background check. Ability to be certified and apply ProACT (Professional Assault Crisis Training) guidelines and/or follow a client (clients can be up to six feet tall and weigh over 200 pounds) who is experiencing significant behavioral problems or become Absent without Leave (AWOL) from the facility. Employ a trans-disciplinary approach to education, conferring with team members as appropriate for particular issues. Select appropriate curriculum content for each student. Determine appropriate, measurable goals and objectives for each student. Write Individual Education Plans (I.E.P.s) for each student and participate in I.E.P. meetings. Participate in case conferences, review individual programs, and make suggestions for revisions, as needed. Know and teach the content of each student's I.E.P. Prepare or secure necessary instructional materials. Modify activities and adapt materials to promote student success. Design and use instructional grouping patterns which are varied and flexible, including individual, small group, and whole class instruction. Employ clear, predictable daily and weekly schedules, which accommodate students' needs. Employ a balance between established routines and novel activities to create an environment that is both predictable and interesting. Prepare a weekly plan book to detail lesson plans, grouping, activities, staff assignments, and other relevant information. Employ appropriate, individualized teaching and reinforcement techniques to maximize student achievement. Understand components that are safe and conducive to learning. Must be Highly Qualified, in accordance with California Department of Education requirements, in the area of specialization. Teaching experience in the area of specialization is preferred.